Finding a new home can be exciting and fun, however sometimes moving to a new house is the worst. It is one of the most disruptive, stressful and chaotic of life experiences. It can also be expensive. 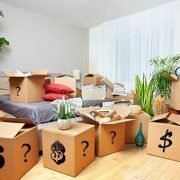 Here’s a list of some things you will need to consider when planning the move. Put simply, you will always need more boxes than you think you will. It’s so much better to over-shoot the mark with this one. You can buy boxes cheaply from Bunnings. Unless you have been hoarding newspapers for the last few months, you will also need bubble wrap or butchers paper. Moving is dirty. Both the old and new place will need a clean, including many of your items that were cleaned before they left your old house. If you’re looking to save as much money as possible, don’t hire removalists as it is usually the biggest expense in a move. However, they are also much quicker, a lot less stressful and will mean less physical exertion on your behalf. With everything packed away in boxes, takeaway is the only option for over a week. Add to that the moving-day thank you when you then shout your family and friends who helped you with the move. Taking an annual leave day. The ACCC’s interim report into residential mortgage pricing reveals the “lack of transparency” around how the ‘inquiry banks’ – ANZ, CBA, Macquarie, NAB and Westpac— make these decisions. 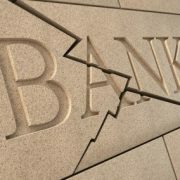 The regulator found a “lack of vigorous price competition” between the big four banks in particular, with negative public reaction being a major concern. These are strategies that anyone can try. 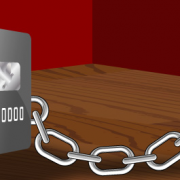 Needless to say, your goal of getting ahead of credit card debt is more achievable if you cease or at the very least limit your spending on cards. This marks the 19th consecutive month the RBA has kept the rate steady since it cut the official cash rate by 25 basis points in August 2016. The move was highly expected by many brokers and economists. More economists and banks are changing their forecasts of interest rate hike this year – from two to one or none. Last month, ANZ abandoned its previous forecast of two interest rate increases this year, and now expects no rate hike at all. “We no longer expect a rate hike in 2018, following the greater than expected emphasis on the mid-point of the inflation target band and increased comfort on financial stability risks in the RBA Governor’s speech on Thursday evening,” said ANZ’s head of Australian Economics, David Plank. 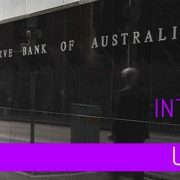 RBA Governor Philip Lowe said in a speech on 8 February that interest rates would have to start moving up if the economy makes further progress in reducing unemployment and in having inflation return to the midpoint of the target range. From its forecast of two rate hikes this year, NAB now expects only one in late 2018, citing weak growth in wages and the slow progress in bringing down unemployment. “It is not impossible that the RBA stays on hold for all of 2018 and raises rates in early 2019,” said NAB chief economist Alan Oster last week. Meanwhile, ABC Bullion expects the next move in rates to be a reduction. Its chief economist Jordan Eliseo said that while employment data, business conditions, and growth figures are solid, there seems no obvious catalyst to turn around the record low wage growth. He also expects a slowing property market to weigh on confidence.